Like its name implies, Revival Gold (TSXV: RVG; US-OTC: RVLGF) aims to bring brownfield and past-producing gold projects back to life. The company is currently focused on reviving its past-producing Beartrack gold project in Idaho. It moved a little closer to that goal at the end of May when it announced the project’s maiden resource estimate. Beartrack contains 33.4 million indicated tonnes grading 1.13 grams gold per tonne for 1.2 million oz. gold, as well as 16.9 million inferred tonnes at 1.41 grams gold for 765,000 oz. gold. 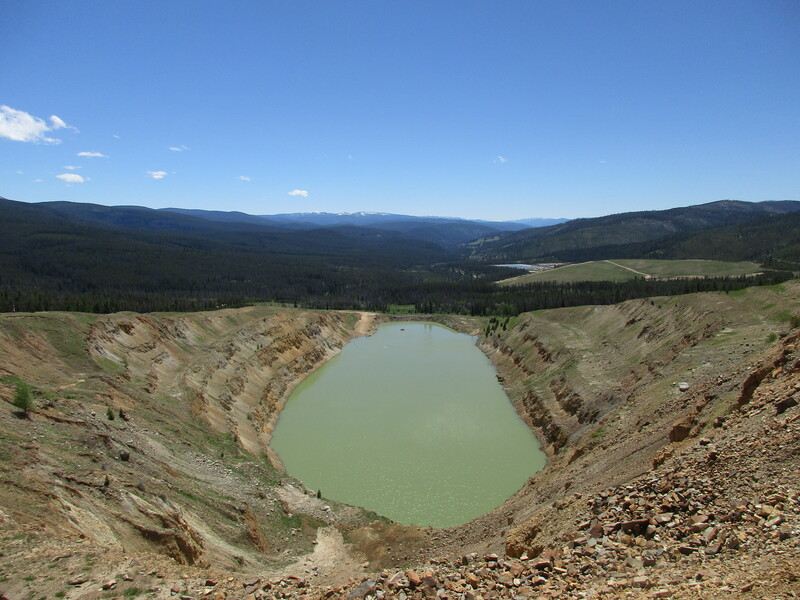 Meridian Gold previously ran an open pit, heap leach oxide mine on the property in the 1990s. It produced a little over 600,000 oz. gold evenly over six years. When Meridian shifted its focus to the El Pinon underground gold mine in Chile, it left behind leach ponds and a 1,021 sq. metre core facility that Revival could refurbish if it moved into a construction phase. He says the project sits on federally regulated land, which had posed another problem for Meridian. At the time, permitting ground was becoming more challenging in the United States, and it was often easier to go elsewhere. He points to a graph we have all seen before: Global gold discoveries have declined each year since 2006, when they roughly totaled 110 million oz., while over global gold production has grown from 80 million oz. in 2006 to more than 90 million ounces in 2017. Looking south over Beartrack’s South Pit. Credit: Revival Gold. Agro had previously retired after a stint as executive vice president of Kinross Gold (TSX: K; NYSE: KGC). Inspired by what he saw as a growing opportunity in the industry, he formed Strata Minerals three years ago. Strata went public in 2017 with an initial 8 sq. km land position in Idaho consisting of 95 claims from three different vendors that it consolidated to form the Arnett Creek gold project. The company changed its name to Revival mid-way through the year and staked an additional 195 claims, bringing its Arnett Creek land position to 24 sq. km.